There is always a certain joy that gives me when I see a sparkling clean stainless appliance. It makes me smile. So I always try my best to do my motto: Clean as I go. But in the midst of the hustle and bustle of working full-time, being a mom of two young kids and with a husband that is back in school, I cannot make it super duper clean as much as I used to. So sometimes a real deep cleaning is needed. Don't worry, it will not take your whole day off. I did mine with just an hour-ish or so...because there were a lot of grease that was sticking on to the surface. It might take you for only 20 minutes or in between watching your favorite show. I just followed the same steps that I shared to you not too long ago when I cleaned & polished my stainless steel refrigerator. 1. 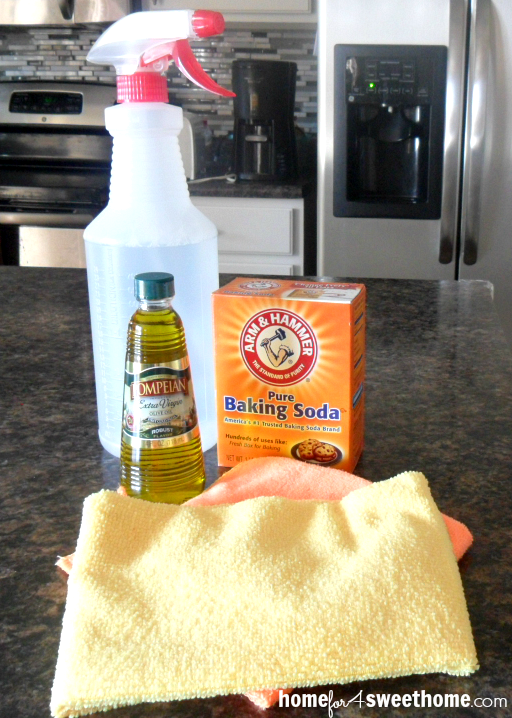 Gather your supplies: Grab four things - 2 clean microfiber cloths, vinegar, baking soda& olive oil. It is practical to pour your vinegar on a large spray bottle to be able to cover larger space. 2. Spray the vinegar: Liberally spray your oven with vinegar (including that frequently used handle). 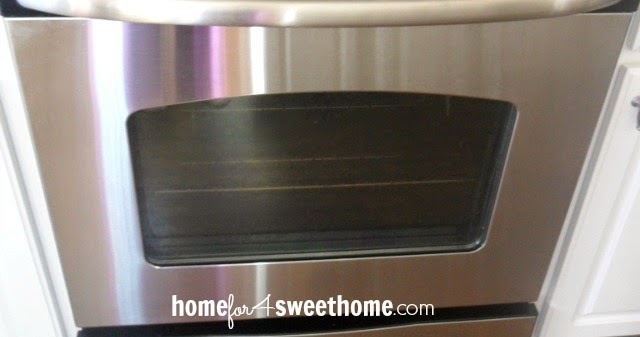 Wipe the vinegar in the direction of your oven's grain using one of the microfiber cloths. Once you have done that. 3. 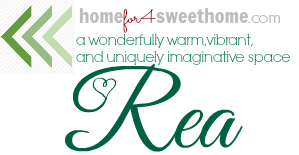 Remove smudge with baking soda: Depending on how smudgy your oven is, pour a little bit of baking soda unto the microfiber cloth then scrub it in the direction of the oven's grain. 4. Polish the oven: Pour a pea size of olive oil onto your other clean microfiber cloth (remember: do not use the microfiber cloth that you used to wipe off the vinegar). Polish the oven in the direction of its grain. 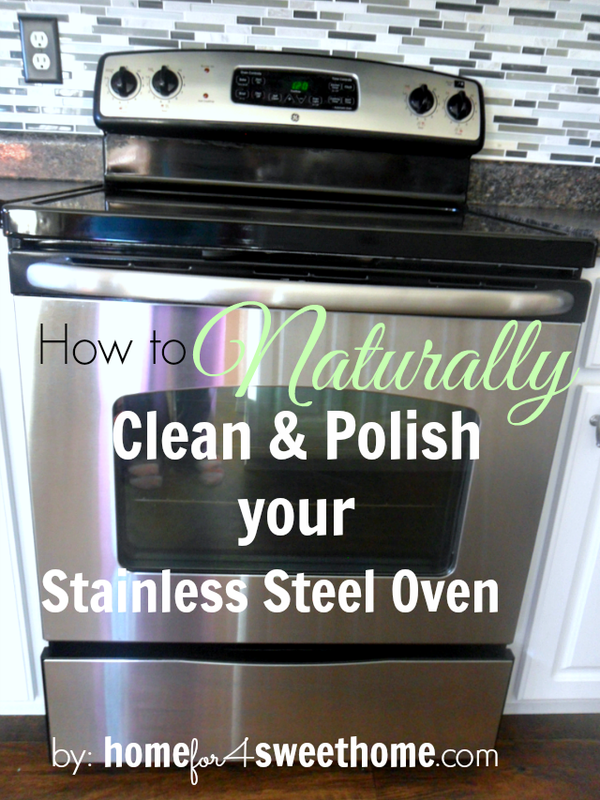 And you will now have a sparkling clean and shiny stainless steel oven. 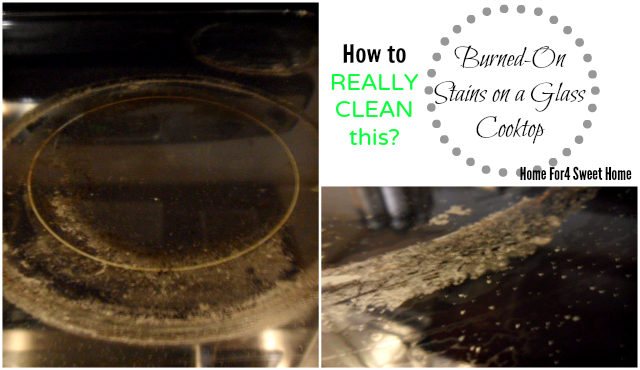 Do you want to know How to REALLY Clean the Burned-On Stains from your Glass Cooktop, like this one? Click on the photo above to direct you to my old post how to do that. Great tips, Rea! Your stove looks so shiny and new.